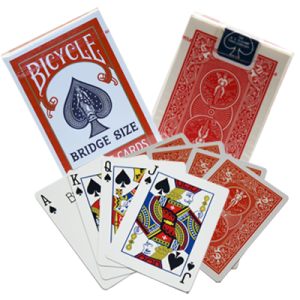 This elastic band Magic trick is really good fun and can be done anywhere. Amaze friends and family doing magic with two elastic bands. Make one elastic band penetrate another elastic band right in front of their eyes. They can try to do the Magic Elastic trick themselves but they will fail every time! 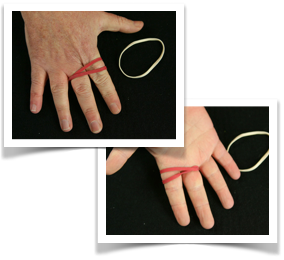 Wrap an elastic band twice around the base of your forefinger and middle finger (like shown in the pictures to the right). The first picture show what your audience will be seeing. The second picture is what is happening away from your audience’s view. 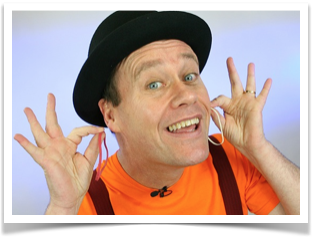 TIP: Using two differently coloured elastic bands makes the Magic Elastic trick more effective and the audience can’t say you are swapping the bands. Using the second elastic band, ‘weave’ it around the tips of all your fingers as shown in the pictures and explain that you are ‘locking’ the red band in place so that there is no way that it can move, it’s trapped, locked in place. The first picture (above) shows what your audience will see and the second picture (above) shows what is happening under your hand. Sneaky move time… Take the elastic band that is wrapped around the base of your forefinger and middle finger and stretch it (see picture A) so that it wraps around the tips of ALL your fingers like shown in picture B and C. Picture D shows what the audience sees. This is the bit where the elastic band magic happens. As you open your hand (from fist to outstretched fingers), the red band will jump from the base of your forefinger and middle finger to the base of your ring and little finger, penetrating the elastic band that is woven around the tips of your fingers. How cool is that?! You can do the Magic Elastic trick. 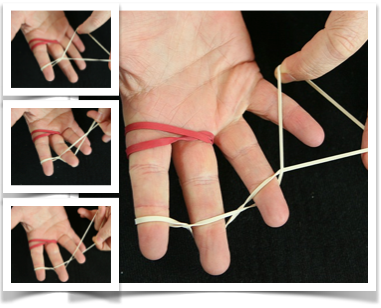 Have fun with this very simple and easy to do elastic band magic trick. I want to see the rubber band brasilait………..